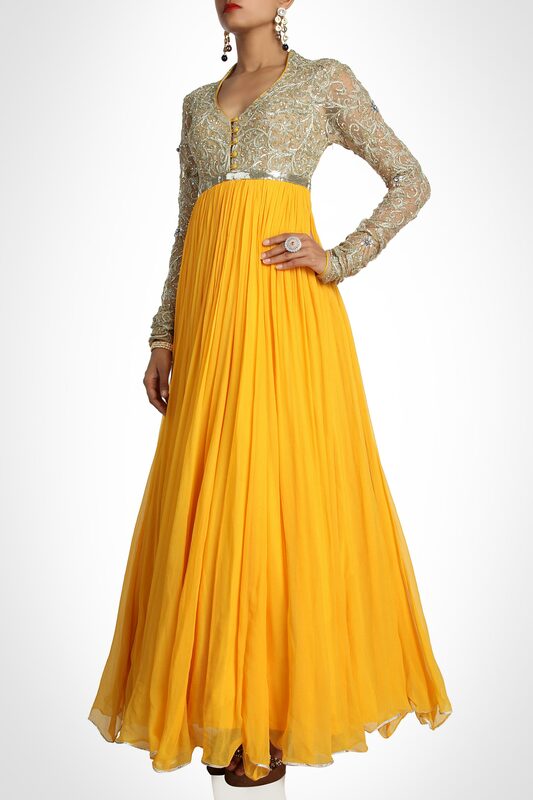 This floor grazing bright yellow hued anarkali embodies elegance. 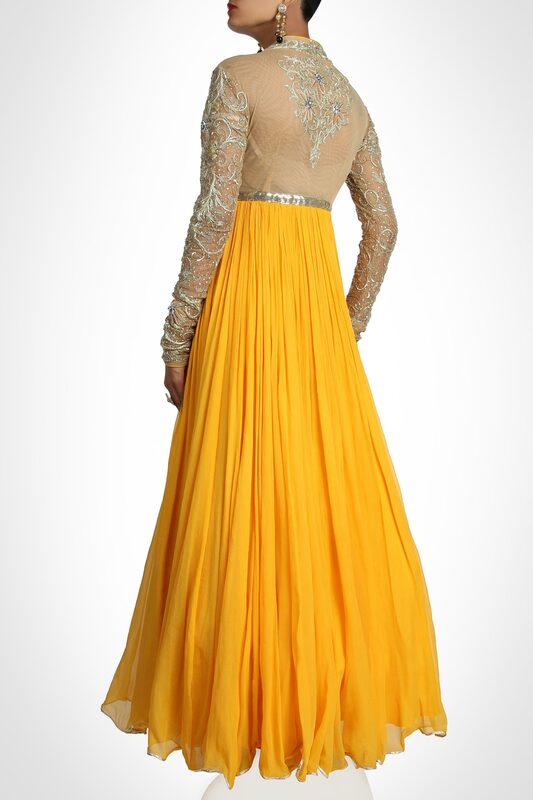 The element of highlight is the beige bodice, richly adorned with zardosi work and the glimmer of rhinestones. 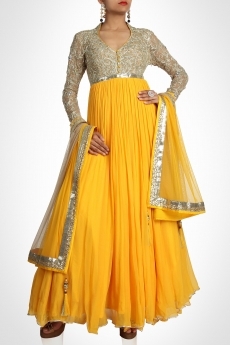 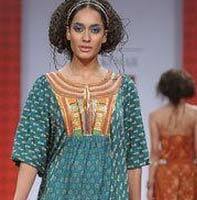 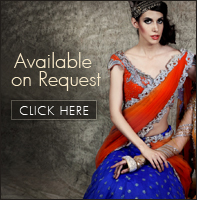 Sequined panels are lined across the empire waist and dupatta borders for impact. Size : Select S What size am I ?